My mantra for life is "Never let fear, alone, stop you." 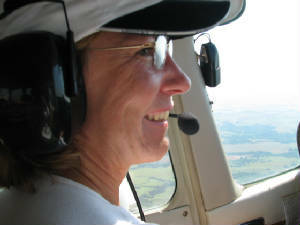 I started flying at the ripe ole' age of 44 at the request of my husband, a private pilot now afflicted with Alzheimer's Disease. I did not take to flying: the development of wings has been an evolutionary process which has taken its' jolly old time. But after 2 + years, 850+ hours, an instrument rating, a commercial rating and lots of help from other pilots, instructors and friends, my flight feathers are becoming fully developed, and I look forward to a long love affair with life above this earth. This will be my second year flying the Air Race Classic; the first being in 2007. From the planning to the cross country trip out to Oklahoma City and through-out the race to Saint John and back home, I was pretty well hooked. I liked the atmosphere, the excitement of the race, the planning and strategy, and the other ladies who were volunteers and competitors but became friends. One of those ladies, was Theresa. My friends tell me I suffer from "terra-firma phobia" as I would much rather be scuba diving or flying. I have traveled over a large part of the world as a passenger but now it is my turn to be PIC. 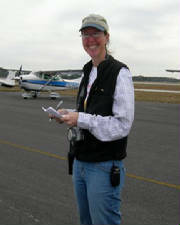 Since getting my license in May 2005, I have flown across the US twice. My "cross countries" are literally clear across the country. 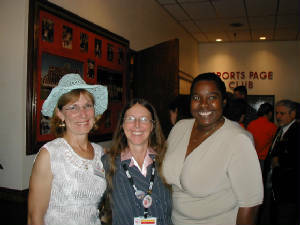 In 2006, we went from SW Florida to Las Vegas, Glacier National Park, Yellowstone National Park and Mount Rushmore. 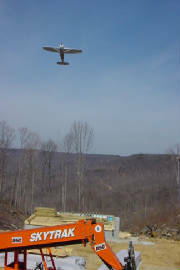 The 2007 trip included an overflight of the Grand Canyon, a visit to a fellow racer in southern California, Yosemite National Park, the many air museums in northern Oregon, Seattle, Teton National Park and the Ozark region of Arkansas. We have also flown Wild Mama to Niagara Falls, Cancun, Mexico and to the Bahamas, not to mention the 2007 ARC from Oklahoma City to Saint John, NB, Canada. All and all, I have landed at over 150 different airports throughout the US, Canada, Bahamas and Mexico. I have developed a real passion for flying and I especially enjoy sharing that passion with the next generation of aviators. My flying goals for this year include tail-wheel training, continued participation in the FAA Wings Program and aerobatic training. 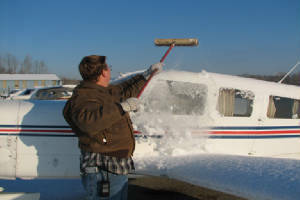 Aviation affiliations include the Ninety-Nine's, Paradise Chapter, Women in Aviation Int'l, volunteer for Angel Flight, Lawyer Pilot's Bar Association and AOPA. 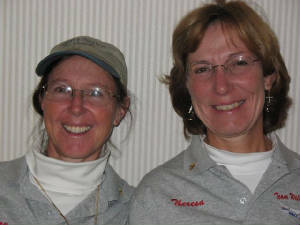 Terry and Theresa met via e-mail and telephone during the registration process of the 2007 Air Race Classic. 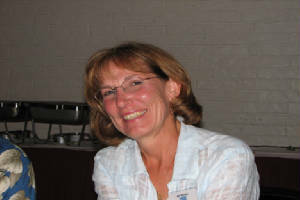 When Theresa was in Lakeland, FL for the 2007 Sun-n-Fun, she and Terry tried to connect but ended playing telephone tag without ever meeting. Finally meeting at the ARC start in Oklahoma City, they were instantly friends and have kept in touch, seeing each other again at the 2007 Okie Derby. Spectators say watching Wild Mama and Buttercup coming toward the finish line at the Okie Derby was quite amusing: Wild Mama was running behind and dive bombing the line at full speed while Buttercup was running ahead and practically standing on her tail to eat up time. Just a note . . . Theresa came within 2 seconds of her par time and took the award for Best Time for the Derby! After raising 3 sons, I was finally able to fulfill a lifelong dream of learning to fly. I used to take my boys to the airport or local Air Force Base to watch airplanes take off and land. I was always giddy like a little kid when I got to fly in a commercial airliner--just to be up above the earth was such a thrill. 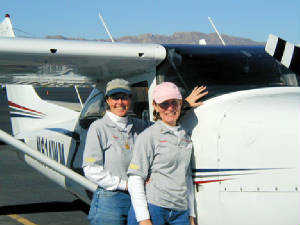 I'd never flown in a small airplane until I took an introductory flying lesson in 2003. It was scary yet thrilling, and I was hooked from the beginning. It's been a bit of a struggle learning so many new concepts and becoming comfortable in an unfamiliar environment later in life--I got my license the year I turned 50. I'm so excited about the life aviation has opened up to me and thankful for all the new friendships I would have never known. The Ninety-Nines have been a tremendous support and inspiration--we have a great group of women in our Oklahoma Chapter. Through our chapter, I was awarded the Okie Derby Wings of the Future Scholarship in 2005, which helped me complete my private pilot training. And meeting Terry has definitely been a highlight. Experiencing her energy, drive, and encouragement has really motivated me, and I'm so excited to have the opportunity to race with her in ARC 2008. What a thrill! What a team! 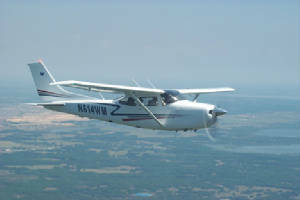 I have been flying for 3 years now, had my license for 2, accumulating around 250 hours, mostly flying with Mike in his C172, affectionately known as Buttercup. 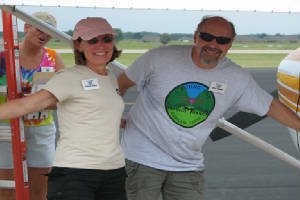 Mike and I started flying together right around the time I got my license. 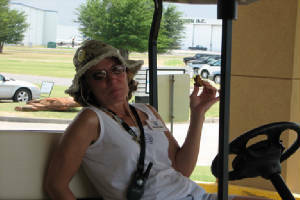 We've flown Buttercup to Oshkosh and Sun 'n Fun twice, Indiana, Colorado Springs, California, and regularly to fly-ins around Oklahoma. I'm an active member of The Ninety-Nines and Oklahoma Pilots Association and work as a training specialist in International Training at the FAA Academy in Oklahoma City. 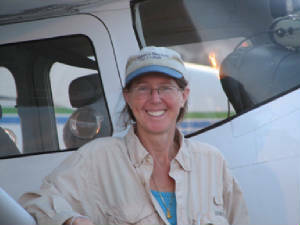 I've been involved in a variety of aviation functions, including coordinating international aviation training symposia, a Russian women aviators exchange, and serving as registration chair for the ARC 2007 Start. I am currently working on my instrument rating. VERNON CONLY - Chief Mechanic: I have been flying for more than 22 years and have flown many ferry flights around the United States and completed several across the country excursions, including a flight to Alaska from SW Florida in 2004. I hold single and multi-engine instrument ratings, commercial multi-engine rating and have extensive tailwheel experience. 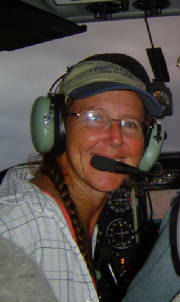 I have been working on small piston aircraft for over 20 years , earning my A & P in 2002 and my IA in 2005. Currently, I have my own business in LaBelle, FL where I service piston aircraft and agricultural turbine aircraft for the local community. MIKE WERNER - Aviation Advisor: Mike has a wealth of knowledge about all aspects of aviation because he's been a mechanic; instructor in single and multi, instrument, and more; FAA air traffic controller; FAA advisor, then the list goes on from there. His aviation experience goes back to the mid 70's. We are excited to have Mike join the team and look forward to picking his brain! MARIO CARBONELL - No. 1 Supporter: Behind every good 99 is a 49 1/2 to cheer her on. There is no better cheering section than Mario. He has been my encouragement to get me to fly and to continue with it since before the evolution of my wings. I take a lesson from him: an accomplished pilot and businessman during his life, he has been stricken with Alzheimer's Disease. I am reminded every day of his strength and courage as he faces this most horrible disease with dignity and determination. Thank you for always being there for me - now it is my turn. Our pride and joy is a 1978 182RG. She has 235 h.p. and a completely tricked-out panel, including XM Weather . The short version of the "Wild Mama" name is quite simple. 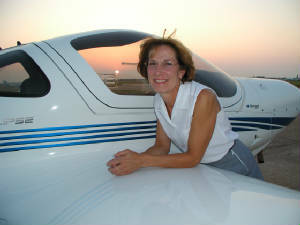 When I bought the airplane I had a running "one-ups-manship" with another pilot, Rob Weber. Seems he said his 172 was faster than mine . . . and it was. I had to solve the problem so I bought the 182RG and was now faster than Rob. When I called him to chide him about the faster plane he asked me the tail number to which I replied: "November-6-1-4-Whisky-Mike." It was at that time he coined the phrase. He said: "More like 6-1-4-Wild Mama!". . . and the name stuck. Thus, she will be forever known as Wild Mama! Some argue, however, that the name applied equally to the pilot. Time will tell.